A number of case–control studies investigated the association between idiopathic recurrent spontaneous abortion (IRSA) and variations in the gene encoding endothelial nitric oxide synthase (NOS3), but yielded contradictory results. Our aim was to test the association of the NOS3 variable number of tandem repeats (VNTR) in intron 4 and +894 G/T single-nucleotide polymorphism (SNP) with IRSA in Slovenian women (148 IRSA and 149 control women), conduct a systematic review of literature on the association between NOS3 gene variations and IRSA, and perform meta-analyses of studies that met the inclusion criteria, defined by virtue of the European Society for Human Reproduction and Embryology evidence-based guidelines for recurrent spontaneous abortion. Genotyping was performed using PCR and restriction fragment length polymorphism methods. 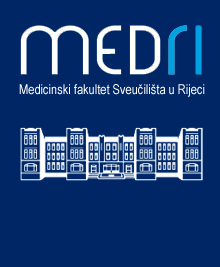 The systematic review of literature (English language) was conducted using PubMed and Scopus databases, to 1 November 2014. We determined no association of IRSA with the VNTR in intron 4 and +894 G/T SNP in Slovenian women. Furthermore, 16 case–control studies were identified on the association between 15 NOS3 gene variations and IRSA. However, significant inconsistencies exist in the selection criteria of patients and controls between studies. The meta-analysis of VNTR in intron 4 was performed on five studies (894 patients, 944 controls), whereas the meta-analysis of +894 G/T SNP included six studies (1111 patients, 1121 controls). The association with IRSA was significant for the +894 G/T SNP under the dominant genetic model (GT+TT versus GG) based on fixed (odds ratio (OR) = 1.54, 95% confidence interval (CI) = 1.28–1.86, P = <0.01) and random effects models (OR = 1.54, 95% CI = 1.03–2.31, P = 0.03). In conclusion, the GT and TT genotypes of the +894 G/T SNP in women might contribute to a predisposition to IRSA. Additional genetic association and functional studies in different populations with larger numbers of participants and a uniformly defined IRSA are needed to clarify the contribution of NOS3 +894 G/T gene variation to IRSA.